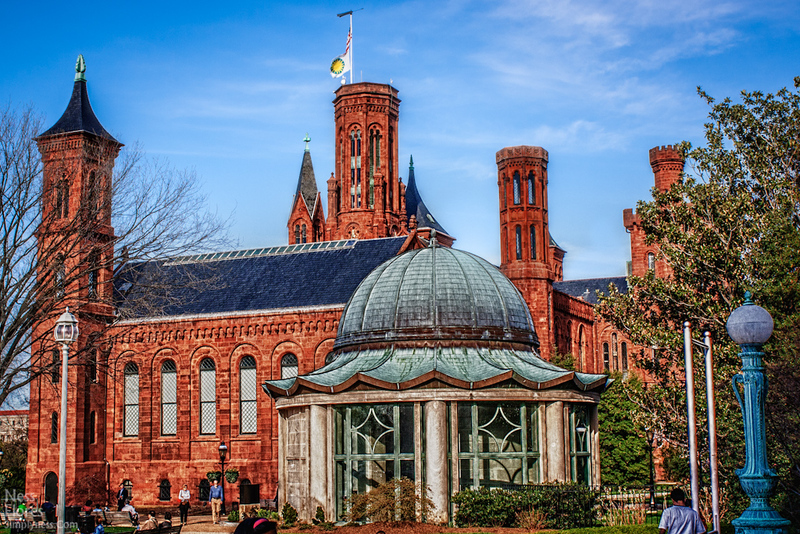 The Smithsonian Castle, located on the National Mall in Washington, D.C., houses the Smithsonian Institution's administrative offices and information center. The building is constructed of Seneca red sandstone in the faux Norman style (a 12th-century combination of late Romanesque and early Gothic motifs) and is nicknamed the Castle. It was designated a National Historic Landmark in 1965.